Wed., April 20, 2016, 2:59 p.m. While many fish are caught from shore or wading, an angler with a boat can access far more water. 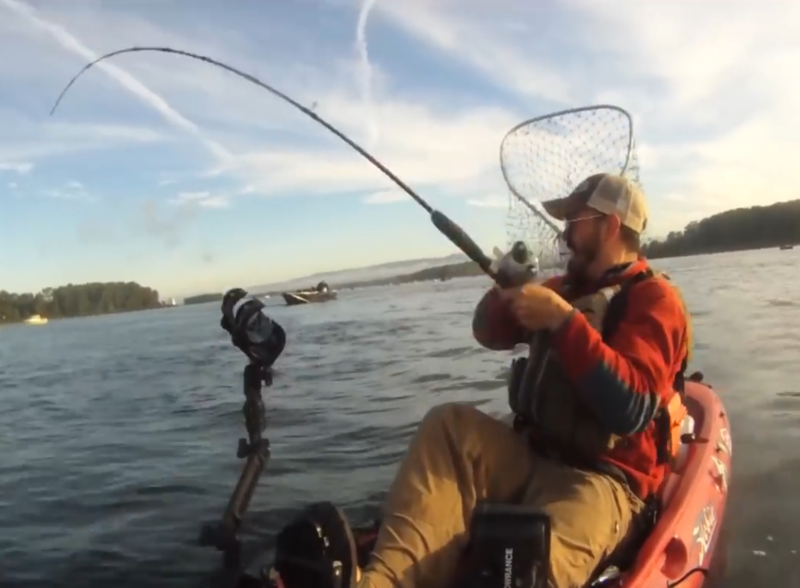 Anglers effectively use boats ranging from little more than boards to huge boats. There’s something to fit every angler’s budget and storage limitations. Canoe or kayak: Kayaks designed specifically for anglers are increasingly popular and used even for ocean fishing. They’re easy to paddle, stable and have surprisingly good storage for fishing gear. Float tube: Perhaps the cheapest and most portable way to get on the water. They’re inflatable, so they can easily fit in the trunk of a car. They’re stable, and since you propel and control them with fins, both your hands are free to fish. Pontoon boat: Typically designed with two inflatable pontoons bridged by a frame with a seat and a set of oars. Pontoons allow the angler to carry more gear, add an electric motor and sit higher in the water compared with a float tube, while still allowing foot-finning to hold the craft in position. Stand-up paddleboard: While not for balance-challenged anglers, fishing versions of these beefed up surf boards come with rod holders and a variety of attachments to secure gear and a cooler that doubles as a seat. Fish while standing or sitting. Published: April 20, 2016, 2:59 p.m.